Zayn Malik has announced he signed a solo record deal with RCA Records months after leaving One Direction. 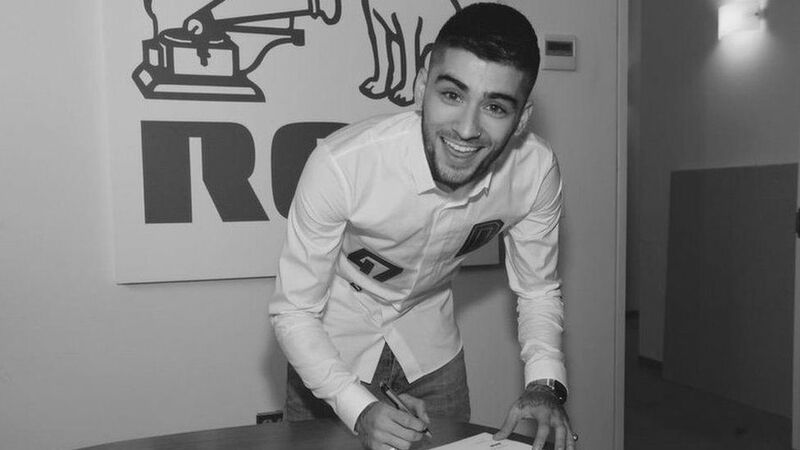 Zayn Malik, who quit earlier this year saying he wanted to be a “normal 22-year-old”, posted a picture of himself signing a contract with RCA Records. In a later tweet Zayn Malik wrote: “#REALME”. Alicia Keys, Mark Ronson, Justin Timberlake and A$AP Rocky are among the acts signed to the label, which is part of Sony Music. Simon Cowell, who signed One Direction to his label Syco, congratulated Zayn Malik on his new deal. He tweeted: “We have been working on this for a while and I am pleased to say congratulations to Zayn Malik on signing with RCA Records. Frank Ocean’s producer Malay recently revealed that he had been working with Zayn Malik. Since leaving One Direction, Zayn Malik has also spent time in the studio with Naughty Boy. The producer, whose real name is Shahid Khan, put a track online featuring Zayn Malik singing over an acoustic guitar after he quit One Direction.